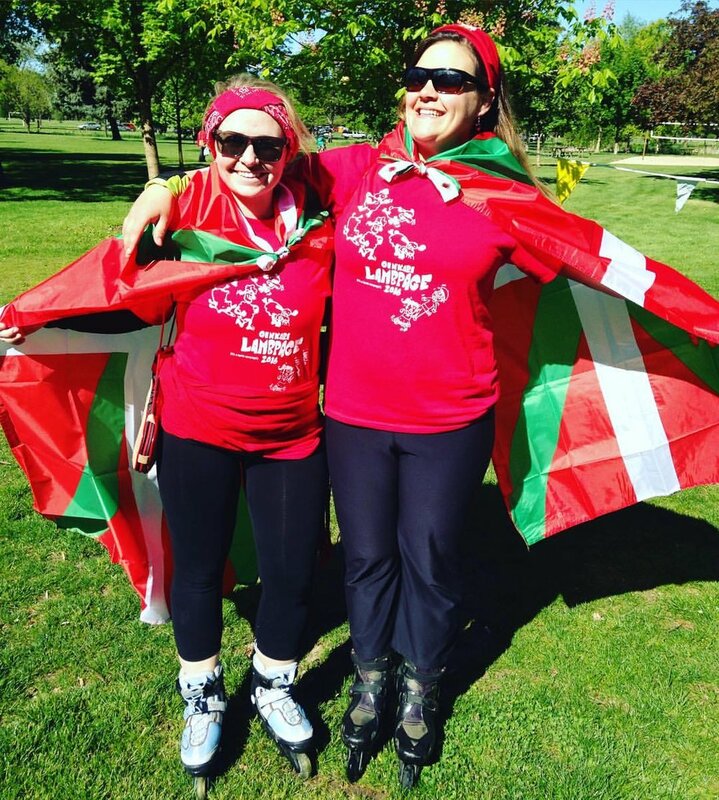 A Basque themed 5K open to runners and walkers alike! This is a fun event open to anyone who would like to participate. Registration includes a T-shirt, race bib, and a delicious lunch at the finish line! Scroll down for more information and the link to register! LAMBpage 2019 is a 5k run along the Boise Greenbelt. It starts and finishes at the Old Timer's Shelter in Ann Morrison Park. Runners/walkers will head west along the south side (park side) of the Greenbelt, cross 36th Street Foot Bridge, loop east along north side of Greenbelt to Anne Frank Memorial, loop west along the south side of the Greenbelt. Then it's a sprint (or a powerwalk) back towards Ann Morrison Park and you'll have the finish line in sight. Follow your nose to the smell of Basque food cooking back at the Old Timer's Shelter, and you're done! Sokatira (tug-of-war): this is a real thing and they are super competitive in the homeland. Google it. Txinga Eramatea (weight carrying): a competition to see who can carry some heavy specialized weights the farthest. The 5k is your cardio, and txingas is your strength training! Horseshoes: okay this one might be American. We don't know, but we play it. There are lots of other interesting farm games we won't be allowed to play in the park - you can learn about them here. Additional food and drink available for purchase. Bring your family - everyone can play! Picnic will go until 3:00pm.